We play while you relax. No doubt sending a child to camp can be a tough decision. Add in a sick child and you could easily find ways to keep them home, safe and sound. We’ve worked hard to fine tune the safety measures required while your child is in our care and lean also on Camp John Marc’s expert staff to guide and help us along the way. Bottom line, we’ve done our homework and we assure you, your child is in good hands. What activities are held at camp? There are many ways for you to help. Fundraising, pre and post camp volunteers, in-kind donations, and more. Visit our GET INVOLVED page for more details. How can I apply to be a counselor? 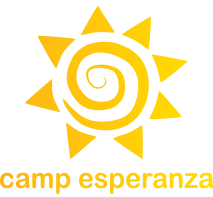 The Camp Esperanza counselors are recruited by referral only. We have a 90% retention rate average therefore we need very few. Who is eligible to attend camp? Applications are send out each spring through Children’s Health. Pack everything your child may need for the week. Camp provides only the food and the fun! Please put your child’s name, in BOLD and CAPITOL letters…on everything! If you have any questions about the “what to bring” list, please let us know. If you do not have a specific item, please call the child life specialist and we will try to find one for your child to use! Visit our CAMPERS page for more details. Can I talk to my child when they are at camp? Can I visit camp? Unless there is an emergency we do not allow phone calls or visits. 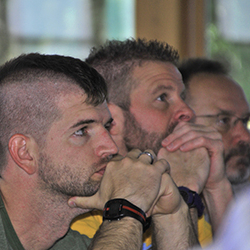 No doubt sending a child to camp can be a tough decision. Add in a sick child and you could easily find ways to keep them home, safe and sound. It’s not unusual for children, especially younger ones away for the first time. We provide structure and keep campers busy from the moment they arrive, which helps to shift their focus away from home to new friends and having fun. What if my child needs medical attention at camp? 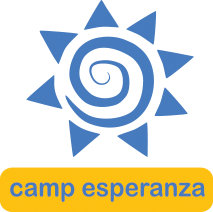 Camp Esperanza includes a full medical staff to provide care to your child during their week at camp. The medical staff includes 2-3 oncologists, 4-5 oncology nurses, a child life specialist, and a social worker. The medical building is state of the art. Due to this, the medical team is able to deliver all the care that can be given in our oncology clinic while your child is at camp. Therefore, your children are able to have fun at camp and also receive all the medications and monitoring needed to keep them safe. Visit our PARENTS page for more details. Camp John Marc has hosted Camp Esperanza for 30 years, providing campers with an incredibly beautiful place to play, learn and grow. The facility provides wheelchair accessibility throughout the grounds, a brand new medical building with all the bells and whistles and a top-notch staff that works super hard year round to ensure all camps are safe, fun and convenient. You’ll also find a dining hall large enough for every kid, counselor and Camp John Marc staff to enjoy three meals a day together. There are pathways to help campers’ transitions from building to building with ease and of course, there’s ice-cold air conditioning.